2. 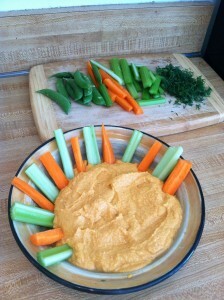 Share with others and dip a variety of vegetables. I love it with cucumber spears, celery sticks and lettuce leaves. Yum! do i use paprika powder? Paprika makes a very nice flavoring for the hummus. I like to add it.